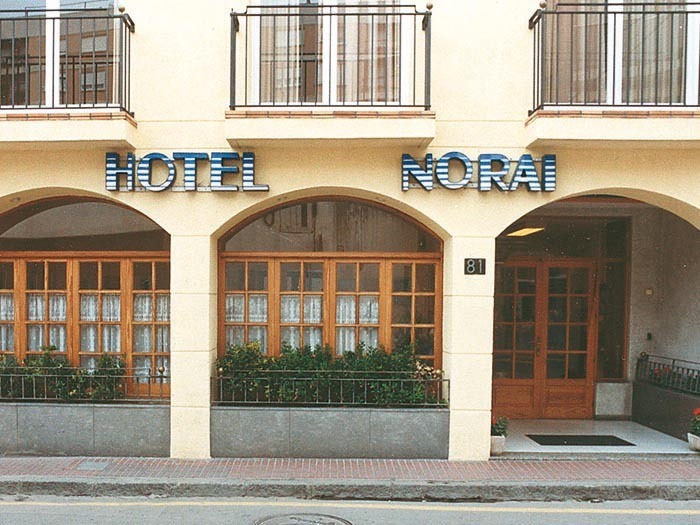 Hotel Norai is situated at the top of c/san pedro Lloret de mar and we stayed there in May 2012. Like a lot of Llorets smaller hotels the Norai was a pension originally (which usually means larger bedrooms) that has now been totally refurbished and boasts a very pretty marble reception area, bar and dining room. The bedrooms are large with very upmarket bathrooms, we had a small balcony looking out at other balconies but because it was at the back of the hotel it was quiet, which was better than a view. There was a TV on the wall and you can pay a €10 deposit for the remote control, there is also free wifi in the whole hotel just ask for the code. 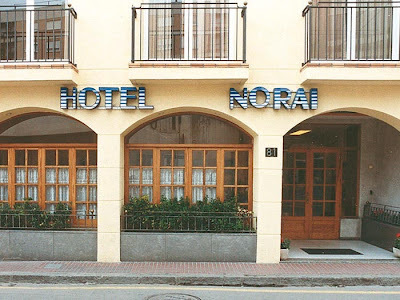 The Norai hotel was clean and comfortble and the staff were friendly and helpful, just what you would hope for on holiday.